Flat rates prove to be the least popular for SMUD. Sacramento Municipal Utility District is moving toward putting all of its customers onto time-of-use electricity rate schemes by 2018. In most utility territories, the very mention of default time-of-use pricing would have consumer advocates up in arms. Even though demand pricing is increasingly common in every other facet of our lives, utilities provide an essential service and pushback is intense, even though well-designed rates likely would not raise monthly bills, even for low-income customers. At the National Town Meeting on Demand Response and Smart Grid in Washington, D.C., Jennifer Potter, principal market analyst at SMUD, presented some of the findings from the two-year pilot. 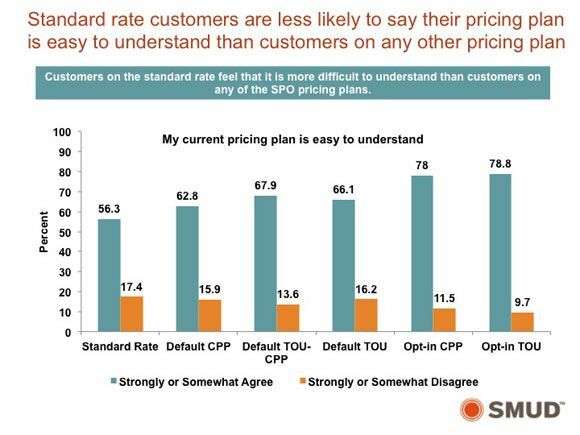 SMUD found that whether customers chose a time-of-use or critical peak pricing rate scheme themselves or were automatically enrolled in it, they were happier than customers on a standard flat rate. “This is really significant for us,” said Potter. 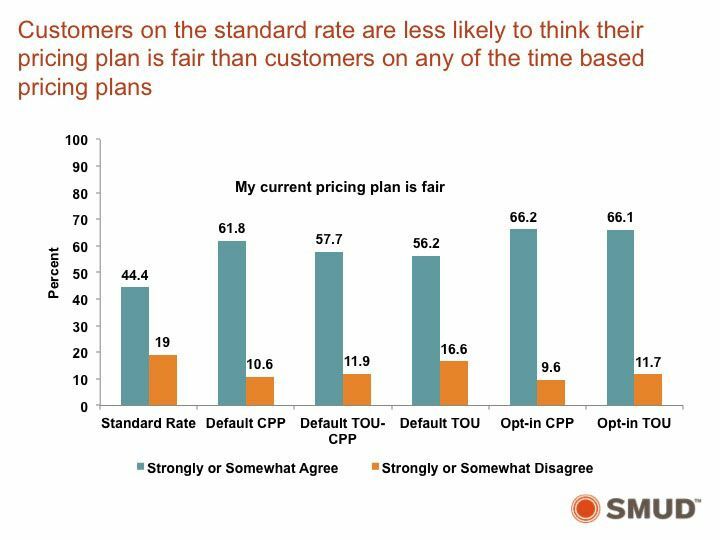 The slides above show not only that consumers are more satisfied with variable rate schemes, but that they also find these rates to be easier to understand and perceive them as being more fair. 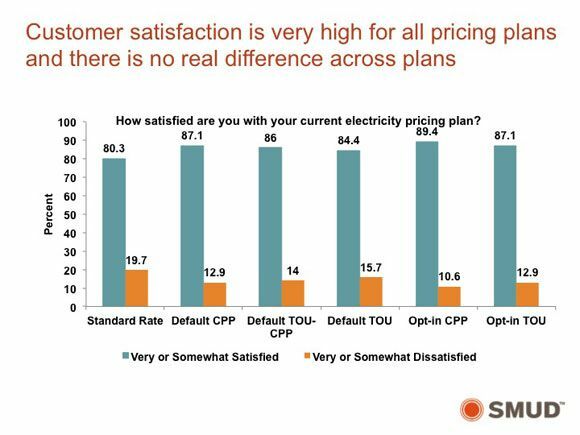 Additionally, SMUD found that customers felt as though they saved money when they weren’t on the flat rate scheme, even though the pilot provided no feedback on how much (or whether) the customers were actually saving. “People like choices. A lot of people wanted to stay on the rates," said Potter. SMUD will allow customers to stay on the rates while it rolls out the program to the rest of its district in a few years. There are a few important caveats. The flat rate is not truly flat. 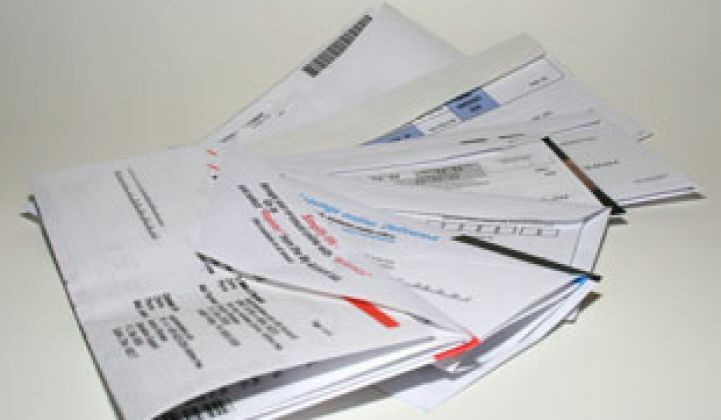 It is a tiered rate that automatically goes up after 700 kilowatt-hours have been used in a billing period. For customers on the other rate schemes, however, this approach gave them more flexibility to shift load over the course of each day, which is more empowering than having to stay within a specific amount of energy use across the entire month. 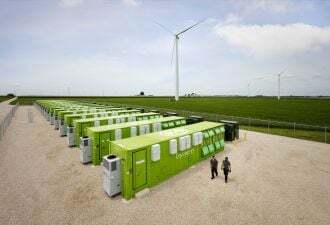 “You’re not going to stop doing laundry when you hit 700 kWh,” said Potter. Customers on the time-of-use rates were not provided with any technology by the utility, such as smart thermostats, to help them shift energy use. Also, although the rates will be the default offering in 2018, customers will still be able to opt back into a standard rate scheme if they so choose. SMUD and Nexant are finalizing a full report on the pilot.